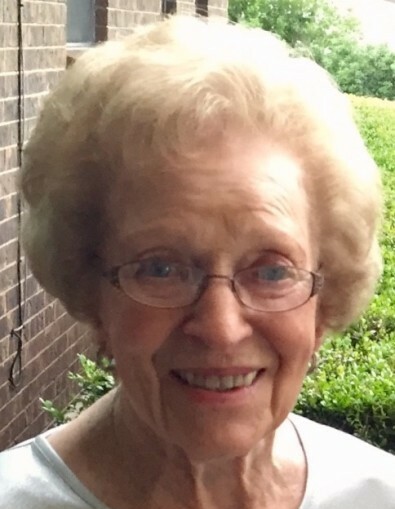 Obituary for Anna Ruth McCollum | Lanman Funeral Home, Inc.
A celebration service honoring the life of Anna Ruth McCollum, 97, of Helena will be held at 1:30 p.m. on Saturday, September 14, 2018 at the Helena Church of Christ, officiated by Bill Springer. Services are under the direction of Lanman Funeral Home, Inc. of Helena. Viewing will be Friday from 10:00 a.m. until 7:00 p.m. with the family present from 5:00 until 7:00. www.lanmanmemorials.com Facebook: Lanman Funeral Home Inc.
Ruth was born in Helena on May 14, 1921, the daughter of John and Lola Hawkins. She passed away on September 9, 2018. She was raised and educated in Helena and attended Beauty College in Oklahoma City. Ruth married Don McCollum on January 6, 1940 in Purcell, Oklahoma. Don and Ruth raised their children in Helena and Wichita Falls, Texas. Ruth was employed at Texas Electric where she served as a cashier. Upon Don’s retirement from Shepherd Air Force Base, they returned to Helena to enjoy being around family and friends. She was an active member of the Helena Church of Christ. She is survived by her son, Lindel McCollum and wife, Dan of Helena; her daughter, Sharon Meister and husband, Bob of Helena and her daughter, Jan Stafford and husband, Jimmy of Wichita Falls, Texas. Ruth enjoyed her grandchildren: Rodney Redman, Rhonda Galish, Tracy McCollum, Jeff McCollum, Janci Wayman, the late Jayson Meister, Troy Stafford, Curtis Stafford and Valeria Jackson. Ruth was a lovely and devoted grandmother and great grandmother to all the many children who gave her great joy and happiness. Each one was a special gift which she treasured with all her heart. Ruth is also survived by her sister, Bessie Kline Welch of Arkansas. Those who preceded her in death include her daughter, Clarice Redman and husband Leon Redman: her parents, John and Lola Hawkins, her brothers and their wives: Clarence and Ruth Hawkins, Henry and Hazel Hawkins; and five of her sisters and their husbands: Dorothy and Weir Troyer; Goldie and Virgil Shepard; Grace and Kenneth Thralls (and JN Gibble); Mava and Luther (Bart) Bartron, and numerous nieces, nephews and friends. Donations may be made in lieu of flowers to the Helena Church of Christ. Lanman Funeral Home will be serving as custodians of the funds.